Spare time, time to write! In this post I want to tell a story about examinations. What kind of examinations? I’m not talking about school examination, I will talk about proficiency examination, a kind of exam that confirms you’re qualified and proficient enough in doing something. There are a lot of it. If you still can’t get it let’s say TOEFL, IELTS and other for English Language proficiency. 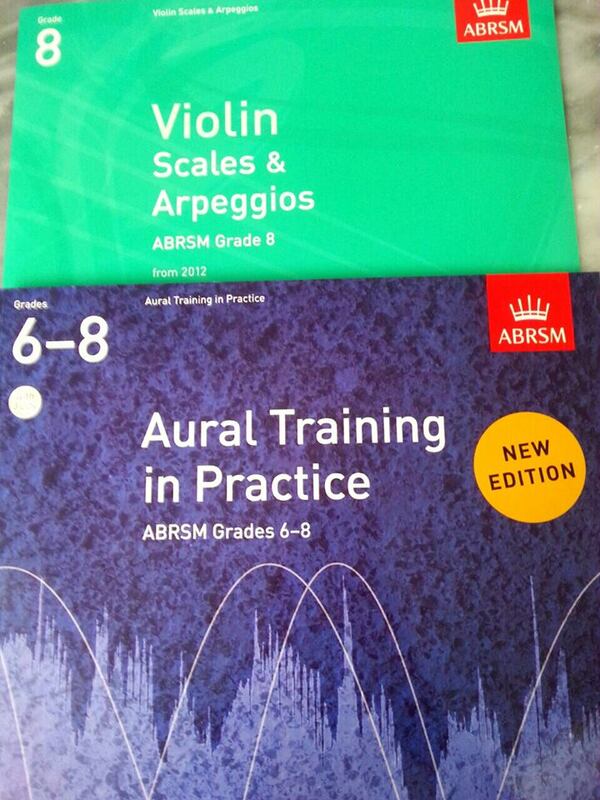 We also have ABRSM (Associated Board of the Royal Schools of Music) examination or Yamaha examination for music. Japanese Language Proficiency Test for Japanese Language ability. Even to enter graduate school usually you need GRE examination. Basically every specific field of study has its own proficiency examination. Lately I am being a bit addicted of this proficiency examination. In the past 6 months i have taken 3 different proficiency examination. There are a strong and basic need to take TOEFL iBT again since my old one had expired and I really need it for Master application. Despite of no exact strong urge for me to take Japanese Language Proficiency Test and ABRSM Music Theory Examination, I still took that in July and September, . 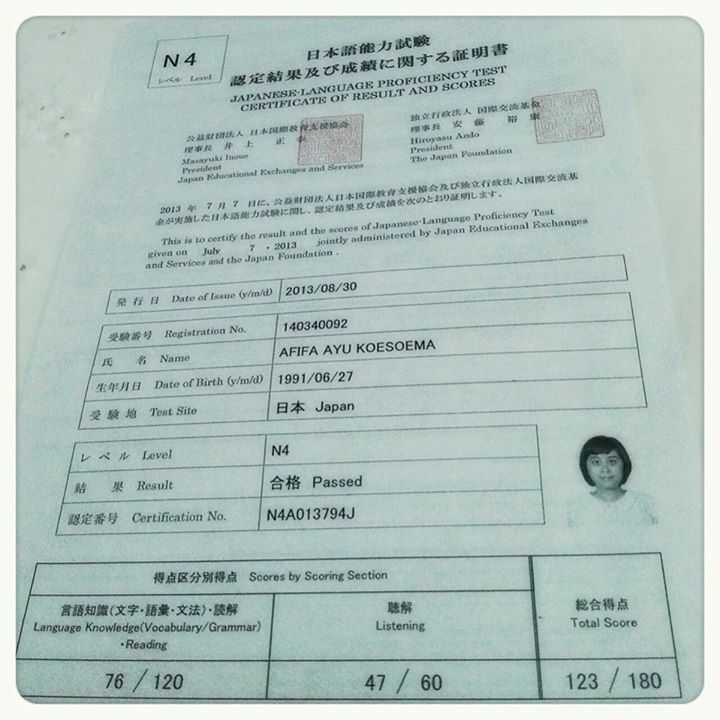 It was a 合格 (pass) for N4 Japanese Language Proficiency Test with A mark for all of parts and I was so happy! So you might be wondering why I consider those kind of examination important? Check this out. First, it is a valuable thing for your future. Having a >100 iBT TOEFL score for example, will make people or school that you applied to, company that you are planning to work with, easily spotted your proficiency in a wink of an eye. Although it is not the main deciding factor, and maybe person can perform better or worse than the result I think that it also plays a crucial role in applying for job or school. Some people say that this proficiency is expensive. Indeed, you need to pay 175US$ per one TOEFL test or for getting the highest grade in musical examination it would cost around that number as well. In my opinion, however, this high cost worth the benefits! Second, it gives you satisfaction. 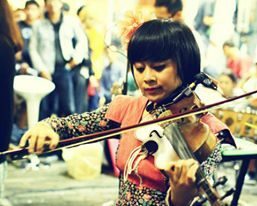 Let’s say you have learned something for years, in my case i play violin for 10 years. Although you know you play good enough, people say you are good enough, you have enough performing experience, you continue learning everyday, etc. Although you’re satisfied, somehow maybe you will not feel that satisfied, because there are no exact parameter of your ability. Well, maybe this opinion will only work for an ambitious person like me? But I’m sure that having a Pass with Honour Music Certificate or other certificate will surely satisfy and boost everyone’s confidence up! Third, it is a perfect way to learn. Have you ever felt stuck? Or you are confused with what is the next thing for you to learn? Or you want to measure your ability or don’t know what your weakness are? Maybe proficiency examination is the answer for you (and surely for me). Examination for proficiency has been planned precisely to have some points you have to be proficient in. Those points are even make clearer in graded examination where some point follows the other and understanding of one point is crucial to go forward for the next step. In conclusion, well, i still think that proficiency examination is important for you, if you wish to take it, i’m sure it will benefit you in a lot of aspects 🙂 Proficiency test result or certificate is not only a piece of paper, it can bring you more than just a judgement and assist in applying for school or job. I think it also has some philosophical meaning inside it.